In an exclusive interview with Anadolu Agency, Abdulbaset Sieda, a Kurdish member of the National Coalition for Syrian Revolutionary and Opposition Forces, said the PYD terrorist group -- the Syrian wing of PKK terrorist group -- is closely coordinating its actions with the Assad regime, Russia and Iran. According to Sieda, the so-called "Democratic Union Party" is a part of the self-proclaimed "Syrian Democratic Forces", which were established through an understanding with the U.S. and Russia, but which, he said, works in coordination with the Assad regime. "Recent advances by these [Syrian Democratic] forces in the Aleppo countryside are being carried out in coordination with the Assad regime and its air force," Sieda said. "Meanwhile, the Americans are coordinating with the Democratic Union Party in the Al-Jazira area to combat Daesh on the pretext that they lack the ground forces to fight the terrorist group," he added. He asserted: "It's clear to us that a U.S.-Iranian understanding has helped develop the relationship between the two sides [Washington and the PYD], because we know the PKK terrorist group is in total coordination with Iran, Syria and -- subsequently -- Russia." "These developments have caused tension in the relationship between Kurds, Arabs and other ethnic groups in Syria," he said. 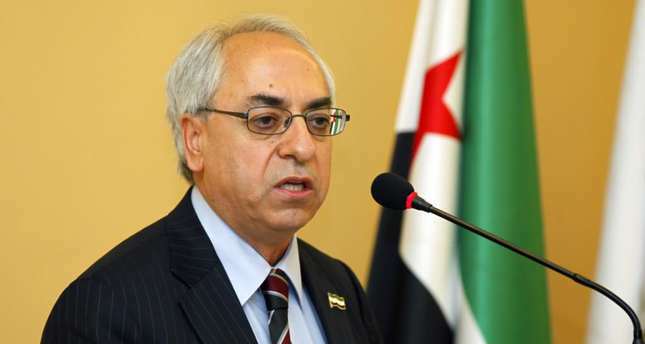 Sieda, who is also a former leader of the Syrian National Council, went on to say that the PYD "does not represent the will of Syrian Kurds, but was created through security understandings with the regime by which the latter ceded Kurdish areas to its control with a view to removing the Kurds from the revolutionary equation." "Just as we can't draw a comparison between Daesh and the Sunni Arabs, we can't compare the Kurds with this party [the PYD], which does not have a program for Syrian Kurds, works outside the revolutionary framework, and is used in coordination with the regime," he said. Sieda went on to note that Assad regime officials "have said more than once that they support the PYD", adding: "We know about security meetings between both sides and the financial support the PYD has received [from the regime], especially in terms of oil income and weapons." "Through its good relations with Russia and the U.S., the PYD tries to show it is independent and not with the Assad regime, while its role in practice helps the regime," Sieda said. "Meanwhile, it continues to benefit from Russian attacks on opposition positions." The Kurdish politician also said the PYD "does not have a popular base among Syria's Kurds; it imposed itself by force [on them] and has exploited their difficult economic situation to enlist them." He pointed to other Kurdish parties that claimed to represent Syrian Kurds, including the Kurdish National Council, which, he said, "has a popular base but which has suffered from disputes and divisions, while the PYD's decision-making is centralized". This, he said, had led to "the rapid implementation of decisions originally emanating from the PKK in coordination with the Iran/Russia/Assad regime axis". As for the current cessation-of-hostilities agreement that went into effect last week, Sieda pointed out that the agreement had been unveiled by the U.S. and Russia -- "at a very high level, far from the will of the Syrian people". "We [the Syrian opposition] support a political solution, because -- ultimately -- the complicated situation in Syria requires conditions including a cease-fire or truce; but these aren't clear yet," Sieda said. He added that ongoing Russian intervention in Syria served the interests of the Assad regime, especially given that the U.S. and EU had not taken decisive stands against it. "Russia has been targeting positions held by the moderate opposition while sparing Daesh-held areas, because Daesh is a card used by the regime to justify its intervention in Syria," he said. Last week, the U.S. and Russia unveiled the cessation-of-hostilities agreement, which excludes Daesh and the Nusra Front, Al-Qaeda's Syrian affiliate. On Friday, Russian President Vladimir Putin said Moscow would continue its military operations against Daesh -- and other terrorist groups operating in Syria -- "even after the cease-fire takes effect". But while Moscow claims to be confining its airstrikes to Daesh positions, some members of the western NATO alliance say it is targeting moderate opposition groups opposed to the Assad regime. Since last September, ongoing Russian airstrikes have forced more than half a million Syrians to flee their homes in the war-torn country, with many seeking shelter in Turkey or other neighboring states. Since the deal went into effect on midnight Friday, the Assad regime -- which along with Russia is also supported by Lebanon's Hezbollah group -- has also continued to carry out attacks, both from the air and on the ground. These have occurred in the Homs, Aleppo, Hama and Damascus provinces, as well as the Turkmen Mountain region in the Latakia province. The U.S., EU, Turkey and the Arab Gulf States, for their part, say that only when Russia halts airstrikes against opposition-held and civilian areas can a genuine truce be achieved in Syria.